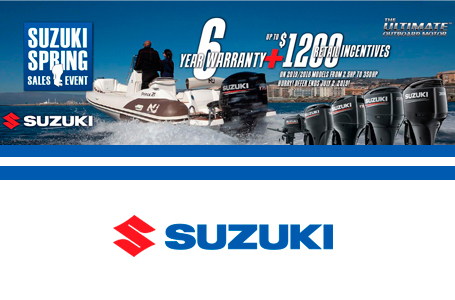 Suzuki pioneered the use of multi-point sequential electronic fuel injection in four-stroke outboards. This advanced, time-tested system gathers operating data from a series of sensors located in key areas on the engine, processes the data and calculates the optimum amount of fuel and air needed for the engine-all in real time. 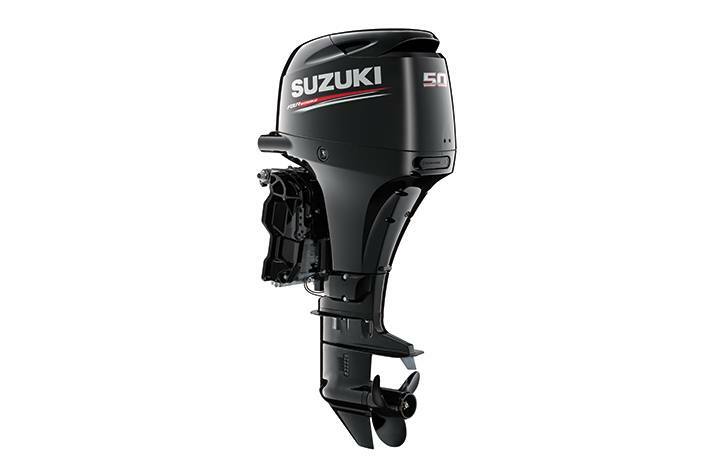 Boaters benefit with smooth starts, maximum operating efficiency, excellent fuel economy, and reduced emissions. This is the only engine in the 50 hp class to offer DOHC performance, with four valves per cylinder, and an air intake system optimized for maximum efficiency in the high rpm range. The DF50A is equipped with a powerful 19A alternator that generates approximately 11.5A even with the engine running at a low 1,000 rpm. 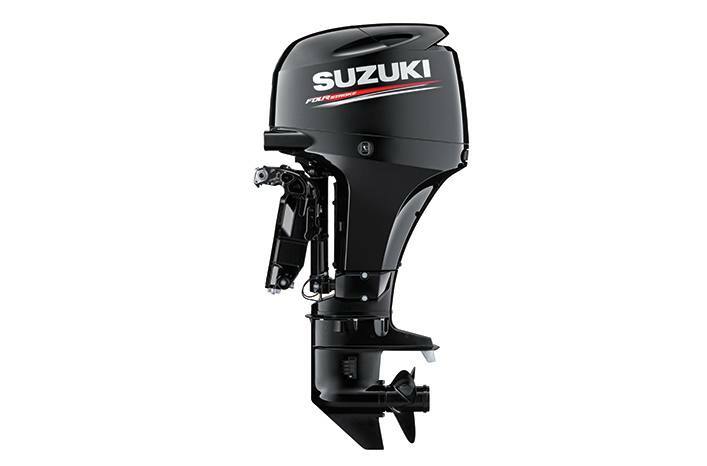 Under normal circumstances that's enough power to keep an assortment of marine electronics operating in most situations. The only engine in its class to incorporate a maintenance-free, self-adjusting, oil-bathed timing chain to provide increased durability and maintenance free operation. A new oil pump design makes internal oil flow more efficient, keeping moving parts better lubricated while using less energy. The combined reduction in mechanical loss throughout the engine contributes to better fuel economy.